This is a sponsored conversation written by me on behalf of Save-A-Lot. The opinions and text are all mine. Please see my disclosure policy. 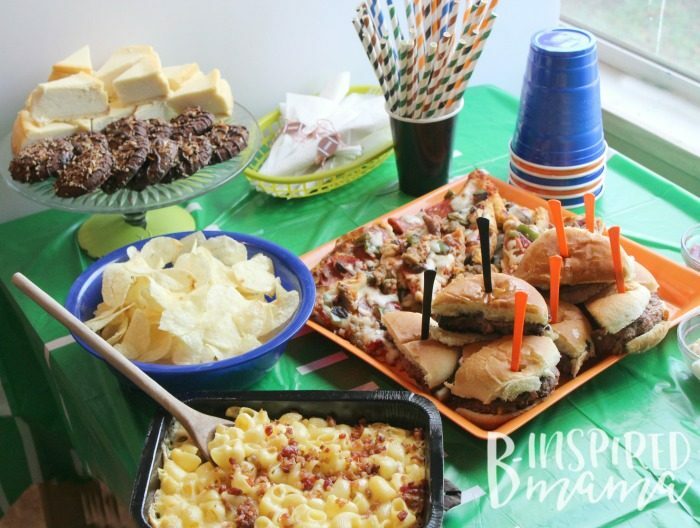 I was invited to try a brand new product – America’s ChoiceⓇ Creations, exclusively found at Save-A-Lot – and after looking at the 13 different mouth-watering options I decided they were the perfect foods for a Touchdown scoring football party! When you are having company, as we often do on Sunday afternoon, you want to put forth a little effort without wearing yourself out. Now, my hubby is happy if football is on and there is a plate of food in front of him, but when you have guests you want to make it a little more of an event right? Here is how I score big without spending a ton of money or hours setting up. 1. Keep it small – Sometimes, more is merrier. But an overcrowded house means a lot more prep and clean up for you. Keep the guest list small – only good friends and family. This also makes interactions more intimate and let’s conversation flow better while you are not watching the big game. 2. Serve awesome food – One thing I have learned from having a lot of get-togethers is that great food doesn’t have to be complicated. Good flavors, variety, and plenty of it is the key! I like to serve mainly finger foods for ease of eating. It’s hard to hold onto a plate and a full set of utensils when you are cheering on your favorite team. 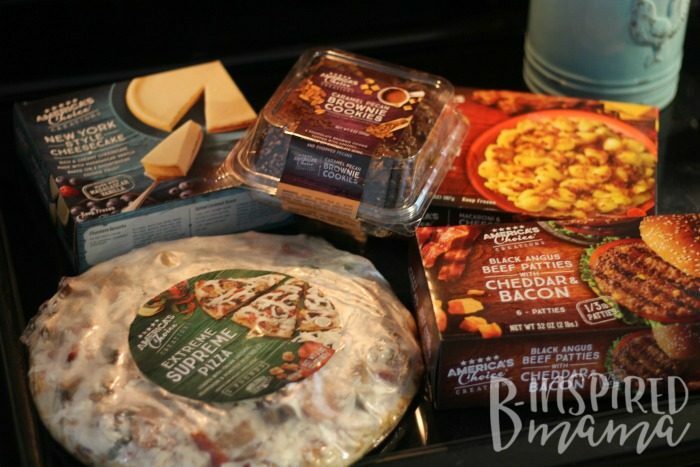 From the America’s ChoiceⓇ Creations line (exclusively at Save-A-Lot) I chose Savory Bacon Mac’ N Cheese, Supreme Pizza, and Black Angus Bacon & Cheddar Burgers. 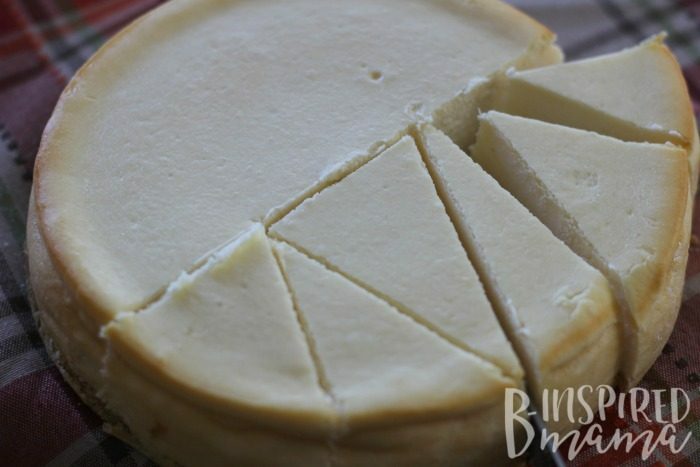 I couldn’t ignore desserts, of course, so I grabbed one of the America’s ChoiceⓇ Creations Cheesecakes (made with Madagascar vanilla!) and some Pecan Caramel Brownie Cookies, too. I cut everything that is not typically a finger food up into smaller pieces. I don’t know about you, but I love to have a little bit of everything. By cutting things into hand-held sizes everyone can enjoy more variety. Plus, Save-A-Lot is always conscious of their customer’s budget and offers up to 40% lower prices than conventional grocery stores. Score! 3. Add special decorative touches – Dressing up your table is easy. Toss on a tablecloth in your team colors or grab a football-themed one from the party section of your local store. 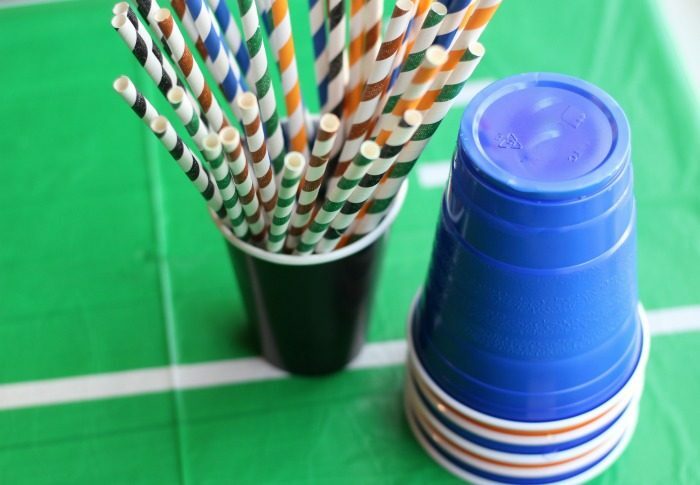 Add in some striped straws and football confetti, and in less than five minutes you are ready to go. 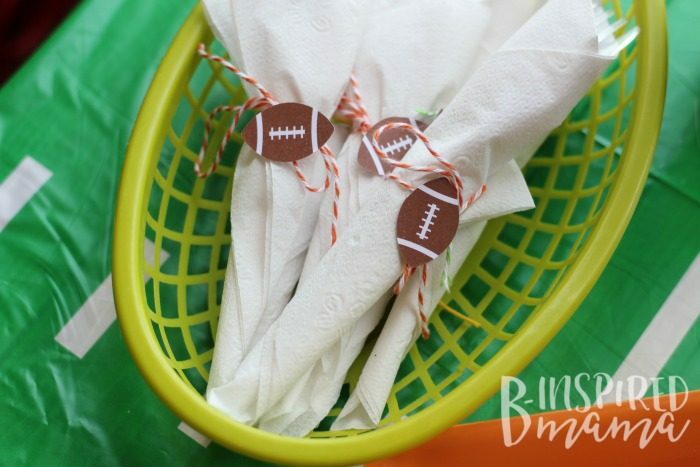 To make the plastic tableware fun and festive, I simply wrapped them in a paper napkin, tied them with twine in team colors, and tossed them in a basket. Grab cups and plates in the colors of your favorite team or the teams that are playing that day. That’s really all it takes to add a little flair to even a small family gathering. 4. Stock up on supplies – Make sure you have plenty of toilet paper, paper towels, napkins, cups, plates, and hand soap on hand. Paper plates and plastic cups will keep your dish-washing to a minimum, too. The worst time to run out of something like toilet paper is when you have a house full of guests, so be sure all those items are on your shopping list. 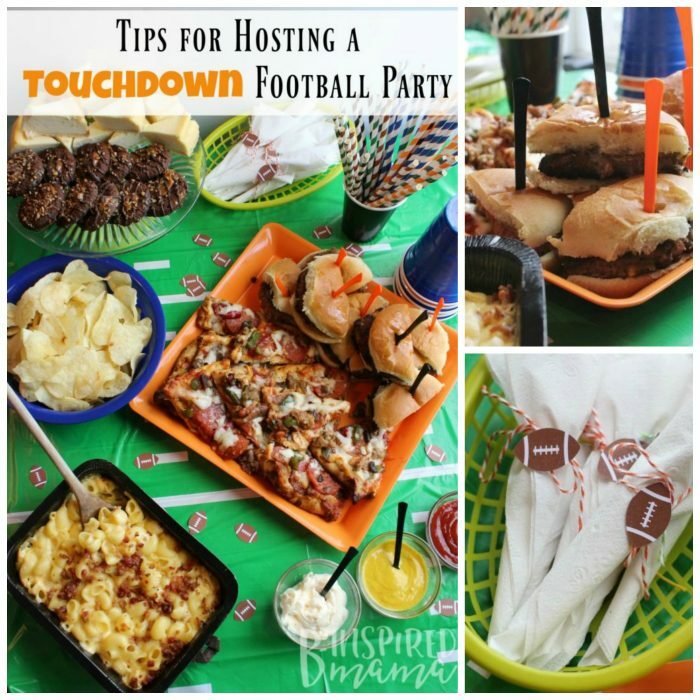 What is your favorite tip for throwing a fantastic football party? 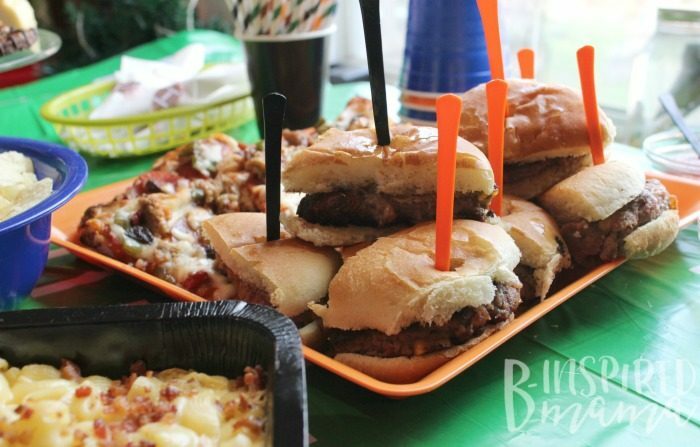 What is your favorite football party food? 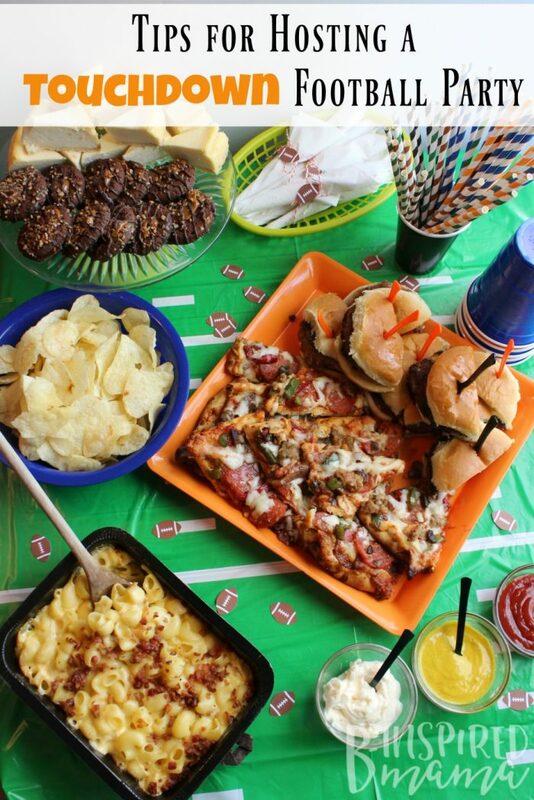 Win a $25 Save-A-Lot Gift Card to Shop for Your Football Party Food! I totally agree with #1. When we started hosting game days before we were a small group. Over time it’s gotten much bigger. And as fun as everything is, there’s a lot more food to prep as well as cleaning afterwards. Thank goodness the kids and their cousins always stay to help.